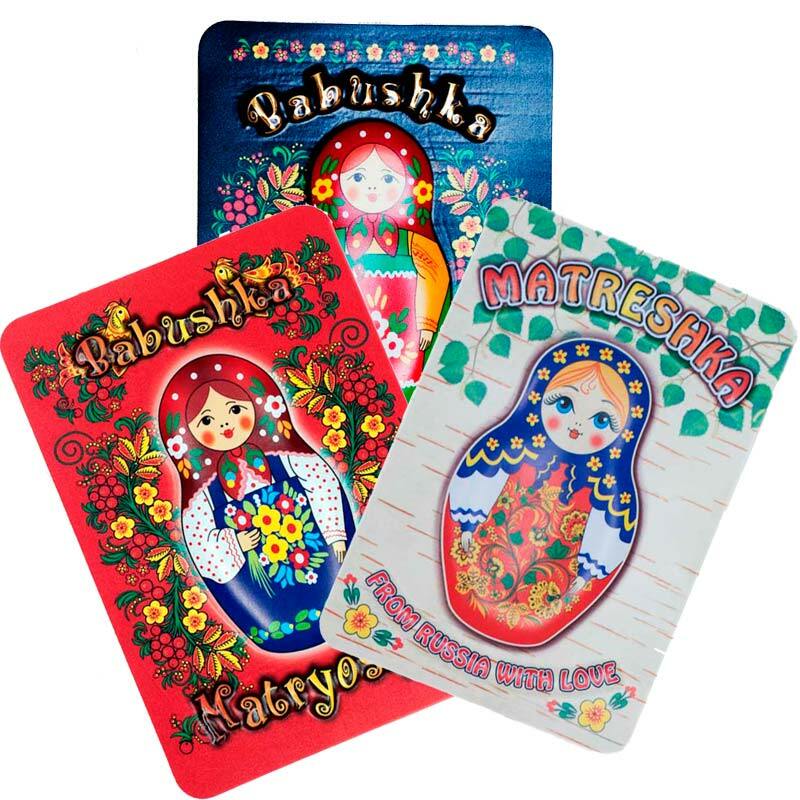 This is an original fridge magnet with Russian folk motives, it describes Russian matryoshka. The magnet is made of soft PVC rubber and soft magnet, the printed 3D picture is coated with special hard and transparent coating. The magnet is packed into a plastic bag. The picture is a sample, there are 10 different designs.